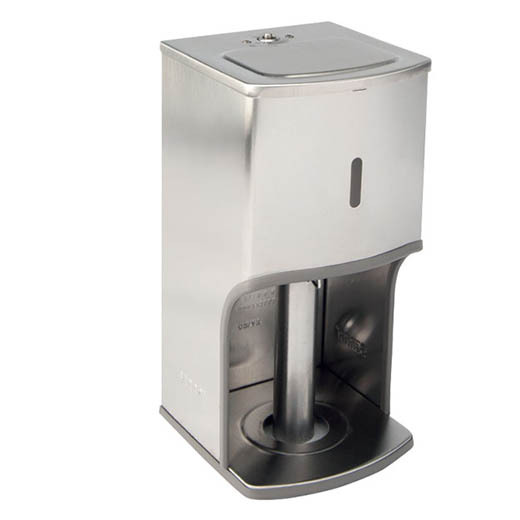 Serra Rol MR 2 offers safe and convenient dispensing of toilet roll tissue with a modern square design. The durable and compact holder is quick and easy to refill. Units require less servicing. Lockable and vandal resistant. Stainless steel with brush finish. Holds 2 rolls.